Do you ever sit and ponder what has made you who you are? Perhaps you have put some analyzation into your spouse. What about his childhood has made him act that way? In Shepherding a Child’s Heart, Tedd Tripp discusses six shaping influences on a child’s character. These are “…events and circumstances in a child’s developmental years that prove to be catalysts for making him the person he is” (page 10). Now, of course we are not simply the products of what happened to us in life. We are stronger than that–or at least we have the potential to be stronger than that. It isn’t what happens to us that shapes us so much as how we react to those actions. We are the masters of our own destiny. As conscientious parents, however, we want to do our best to help our child have the best shaping influences in life, or to at least know how the shaping influences in our child’s life will potentially impact him. The first is Family Life. What kind of family environment does the child have? Are grandparents in the life of the child? Great-grandparents? Aunts, uncles, and cousins? How are the roles of the parents structured in the home? Another impact (a huge one) is siblings. Are there siblings? How many? What is the birth order of the child? How do the personalities of the children mesh? All of these things will have an impact on your child. These situations–this family life structure–will shape and mold your child. The reason birth order is so interesting to study is because the tendencies are typically true. Oldest children tend to be bossy, but good leaders. Middle children tend to be peacemakers, but sometimes walked on. Youngest children tend to be the funny ones, but have a laid back personality. Knowing these quirks can help us as parents. For example, knowing that Brayden is an oldest helps me understand some natural tendencies of that birth order. I know he will naturally lean toward bossiness. We want to help him learn to quiet that bossiness without suffocating the ability to be a good leader. Kaitlyn is the middle child peacemaker. We want to teach her to not always try to please others (in other words, not being a follower to a fault) while still maintaining such a fabulous quality of keeping peace around her. It is also worthwhile to know the impact of older generations on children. Grandparents are a great resource for our children. They are fun. The other day, Kaitlyn told me she wanted to skip being a mom and just be a Grandma. 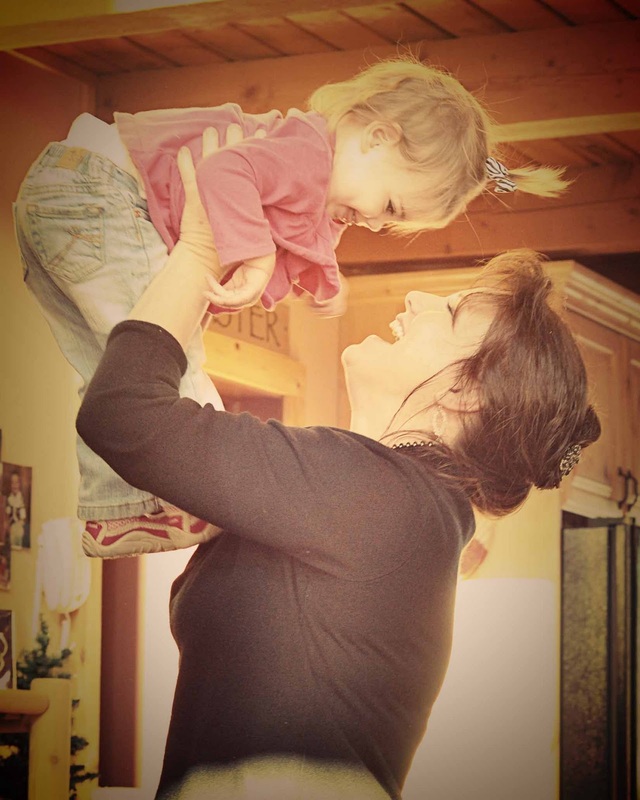 Even a four year old can recognize that being a Grandma is lots of fun, and she recognizes that grandmas bring her joy. In our global world, however, many people find themselves living far distances from Grandparents. It takes work and effort to maintain a relationship from a distance, but it is worth that effort to preserve the influence of grandparents on our children. Knowing what influence our family life situation can have on our children can help us to know how to teach our children to best respond to these situations. An ideal situation might be both parents in the picture, but there are plenty of single parents out there who raise amazing children all on their own. They have put the effort and time into helping their children respond and thrive in their situation. We call and should all do the same.